St. John the Apostle Anglican Church is a diverse, multi-cultural, multi-generational faith community. We are very accepting and welcoming of newcomers. There are numerous opportunities for friendship and service and learning. The parish of St. John the Apostle has been part of the community since 1899. 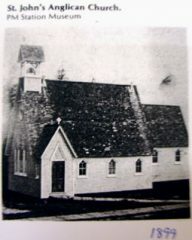 St. John’s was dedicated on January 20th, 1899. Although there have been improvements and upgrades over the years, the church still sits on the property that was donated by Captain Clarke of the Royal Engineers. 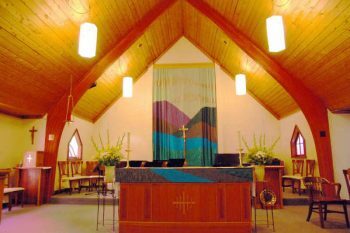 St, John’s has had an active Anglican Church Women’s (ACW) since the doors opened in 1899, and the group still continues and thrives to this day. Services are held at 8:30 am and 10:00 am each Sunday. A children’s program using Godly Play is offered at the 10 am service, as well as a nursery complete with a sound system so that parents and children can participate in the service. Please check our calendar for special service dates throughout the year. Service to the city and the world around us continues in a number of important ways, as it has done for more than a century. Food Bank is held on the first and third Thursdays of the month, assisting families in the Tri-City area by providing a gathering place for friendship and mutual support along with a nourishing lunch and groceries to help supplement the families’ diets. The parish also provides space for two AA groups for their weekly meetings and to the Korean Presbyterian Church and the Polish Pentecostal Church for their weekly worship. Among other events, we have a Spring Tea in May, Garage Sale in June and a Fall Bazaar in November. You can check us out on Facebook at “St John the Apostle (Port Moody)”. We would love for you to come and be a part of our community, where you will find an inclusive atmosphere filled with those young and old. Everyone is welcome!